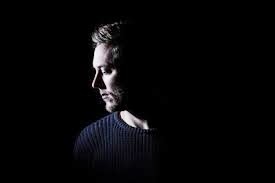 Producer and DJ George FitzGerald represents a new generation of dance-music makers as informed by the house and techno legacies of Chicago and Detroit as they are by the ever-bubbling sounds of UK bass and garage music. With releases on esteemed labels like Aus Music, Hypercolour, and Scuba’s Hotflush imprint, not to mention a forthcoming LP for Domino Records and a debut US tour that wrapped up at the end of last year, Dialogue Inc caught up with the Berlin-based Londoner over Skype to discuss his career to date, his sound, and what his first official US visit was like. 2013 was a cool one for you. 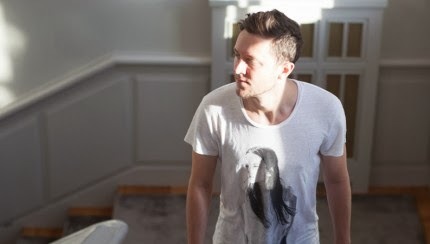 You started off in January with a set on Pete Tong’s Essential Mix and Heidi gave you some kind words on the show as being a future star of 2013 and then you wrapped up the year with a full US tour. Have the last 12 months been as groundbreaking for you as they seem from the outside looking in? Yeah, it definitely was. Obviously, for a lot of people who are being exposed for the first time things like Radio One are a massive platform. In the sense, that I’ve been building up to that for about three years, doing smaller things and learning the craft, it doesn’t feel like a watershed in that sense. It feels like something I’ve worked toward for a while. But, it has been the difference last year compared to 2012. It’s been amazing, and really kind of humbling. And, if nothing else, you had Heidi on global radio talking about how you’re one of the better-looking DJs around. Yeah, that wasn’t bad for the ego. I’m not sure that my girlfriend liked that very much, but that was ok. It was strange, I was on holiday when I was listening to it and I had no idea she was going to say something like that. She’s definitely a loose cannon in a really good way. You said the past two years haven’t been a watershed moment, and they probably never are for artists versus when someone picks up on a new musical discovery, but what has this time been like for you with the rise in your career coinciding with the popularity of this garage-meets-bass-meets-house sound? It’s been interesting to see how something I’ve been into for quite a long time, something I was into as a kid like garage which was the first thing I ever listened to when I was getting into electronic music when it was big in London the first time around in the late ‘90s, to see how that suddenly explodes again has been really amazing. I suppose it’s a product of getting a bit older, but seeing things come around for the second time is really interesting. Seeing the way people a lot younger now, 18, 19, 20-year old kids just love this stuff and it’s all new to them. To me it’s not so new, but yet it’s made me look at everything in a different way. And for us Stateside, with the exception of pockets, that sound never made it over in a big way. It’s not a nostalgia here. So we’re curious, what was your experience like here? The garage influence in what I make are a little less overt than maybe the house and techno side of things, but obviously garage and house are very close together and the US has this whole house and techno heritage. What’s really interesting when you come over to the US is that you go to some places and people really have no idea that the music began there and then came over to Europe. House and techno to them is really a European thing. Then you can go to another city, and people are really very aware of the heritage that they’re a part of. There’s often a disconnect between places in the US—it’s such a massive place—but it’s really fascinating to see that. It’s really nice when you go to places and you feel like you’re visiting somewhere that really has its own history with the music and you can go and learn something there. The US definitely an interesting beast, especially the Midwest. Detroit and Chicago are about five hours apart and have had a major influence on all of this, and yet in a contemporary setting the Midwest is always playing catch up with the coasts. Regardless, it seems like you’ve built a good platform for yourself. Let’s shift gears and talk about some of your new music. Yeah, I’ve just released a single called “Magnetic” and am about half way through writing an album for Domino, which will probably drop in the first half of this year. Is the direction of your recent releases a hint of the direction people can expect on the record? To be honest, “I Can Tell” is kind of an ending point of a lot of the things I’ve done before. There’s sampled vocals in there and it’s very euphoric and house-y. “Magnetic” is more of a stepping stone for where the album is going to be, and the flip side of that “Bad Aura” as well. With the album, I’m moving away from using sampled vocals and some of the house and garage tropes that I’ve been using before. It’s still going to sound very much like me but it’s definitely an evolution. You’ve also had a few opportunities to do some high-profile remixes and your recent production for Katy B. Aside from the album, is producing for other artists something you hope to do more of? With the right people. Katy B is quite a good example. She’s very much a pop artist, but she’s also very London. As someone also from London, I have a soft spot for here. I don’t think I could see myself working for straight pop artists. There’d always have to be some type of special edge to somebody if I’m going to produce for someone more mainstream. There was that with Katy B. She has that Rinse FM, London girl vibe to her, which I always think is quite cute. She’s got a clever way of doing things. It’s something I want to do more of, but I’m going to stick to writing my album at the moment. Katy B is good at bridging the gap, right? Between the underground and the mainstream. Exactly. She’s 100% pop in the sense that she’s daytime radio all over the world, but she does bridge that gap into the underground world through where she’s come from and the team behind here. That’ why I was up for doing it. Outside of your production, to give our readers a little bit more about what to expect from you as a DJ? I play quite a broad spectrum of things, but I think it’s all coherent in the sense that I like things that are very strong melodically without being to kitsch. If you were to look at some of the big tracks at the moment, that Ten Walls release, “Requiem” that came out recently, that’s very indicative of the stuff I play. Not really old school for the sake of it. There’s a lot of revivalist house type stuff out there at the moment and that’s not really what I go in for, I go in for things that sound very now if you know what I mean? We do indeed, that Ten Walls track was in our best of 2013 so we couldn’t agree more. So as a final note, we were curious if you have any good tales from the road in the US—from this past tour or previously—we’d love to hear it. I’m sure if I had more time I could think of something genuinely really funny, but the time before last I was over I played at Movement in Detroit. I really didn’t expect it to be like this, but it pissed it down with rain so much that it was raining sideways. I had to DJ underneath this tarp—everyone did—so I was basically on this stage with just my head peering up over this canvas. And everyone on the dance floor kept with it, which reminded me of home in the UK. I wasn’t sure if people in Detroit were going to be up for it, but they were. I’ve never seen rain like that. That was definitely a bit of an experience.